San Diego Housing Commission v. Industrial Indemnity, 68 Cal. App. 4th 526 (1998); San Diego Housing Commission v. Industrial Indemnity, 95 Cal. App. 669,116 CR2d 103 (2002). I was also lead counsel in the cases of Old Vail vs. City of Temecula, inverse condemnation cases filed against the City in both federal district court and state court to obtain relief for our client as a result of alleged wrongful downzoning of the property after a special assessment had previously been levied against the property assuming a higher zoning. The federal issues were appealed to the United States Supreme Court. The state court cases were settled with our client obtaining its requested zoning and thereafter being able to sell the property for millions of dollars. Most recently, Mr. Spath and I were both involved in representing the San Diego Housing Commission in connection with its nationally recognized conversion from federally subsidized public housing. Thereafter, the firm acted as borrower’s counsel for the San Diego Housing Commission in obtaining FNMA and FHA multifamily housing insured loans in excess of $95 million through national lenders Greystone and PNC. Christensen & Spath LLP has also acted as buyers and lender’s counsel for the Housing Commission in the acquisition of over 700 units affordable housing through its landmark HUD approved acquisition program over the last two years. After graduating from USD School of Law and passing the bar, I went to work for the firm of Biafora and Weiner in the San Fernando Valley in 1974. I became a partner of the firm of Biafora, Weiner & Christensen in 1976. In 1978 I moved back to San Diego and became vice president and general counsel of the civil engineering and surveying firm of Charles W. Christensen & Associates. In 1983 I became a partner in the firm of Detisch & Christensen and remained with that firm until 2002, when Walter Spath III and I formed the firm that is now called Christensen & Spath LLP. I have been practicing law in the State of California for almost 38 years. I have attained the “AV-Preeminent” rating from Martindale-Hubbell. Our firm of Christensen & Spath LLP, a downtown San Diego law firm, is rated AV and is also listed in the prestigious Martindale-Hubbell National Bar Register of Preeminent Law Firms in the United States, in the areas of municipal law, civil trial practice and general practice. 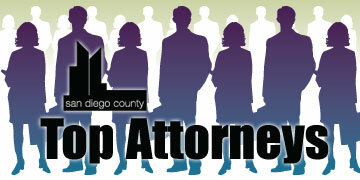 I have been named one of the top public agency lawyers by The Daily Transcript in 2005, 2009 and now in 2011. I have also been named a Super Lawyer in the San Diego area in the municipal law arena for the last five years (2007 through 2011). For the last 20 years a major portion of my practice has been devoted to representing the San Diego Housing Commission in connection with all types of legal matters. My firm has also represented redevelopment agencies concerning redevelopment and housing law and has represented cities, including the City of San Diego and the City of National City in complex civil litigation matters, as special counsel. We have also represented the CDC of National City, the Redevelopment Agency of the City of San Marcos, SANDAG, the City of Poway and the City of Chula Vista as special counsel for various issues including real estate law and affordable housing matters. I have tried numerous bench trials and jury trials to judgment and verdict, representing both public and private clients in state and federal trial courts and in the Courts of Appeal, including appeals in the California Court of Appeal, the Ninth Circuit Court of Appeal, the State Supreme Court and the United States Supreme Court. Our firm has represented the City of San Diego and the Housing Authority of the City of San Diego in civil litigation involving matters affecting affordable housing, including litigation involving SRO Hotels and inclusionary zoning matters. I have been chief trial counsel in civil litigation on behalf of the public entities where these entities have collected settlements and judgments in excess of $12 million over the last several years. 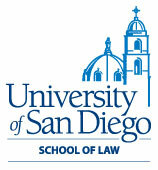 I am a member of the San Diego County Bar Association and the American Bar Association. I am a past arbitrator for the American Arbitration Association and a past member of the Association of Trial Lawyers of America. I am an active member of the State Bar of California. I have resided in San Diego County since I was 2 years old, except for the four years that I practiced law in Los Angeles County in the '70s. I currently live in Point Loma with my wife of almost 41 years, Susan. We have four children, Brophy, Michelle, Courtney and Tim. We also have six grandchildren. We are very happy and fortunate that all of our children and grandchildren live in California, with most of them residing in San Diego County.